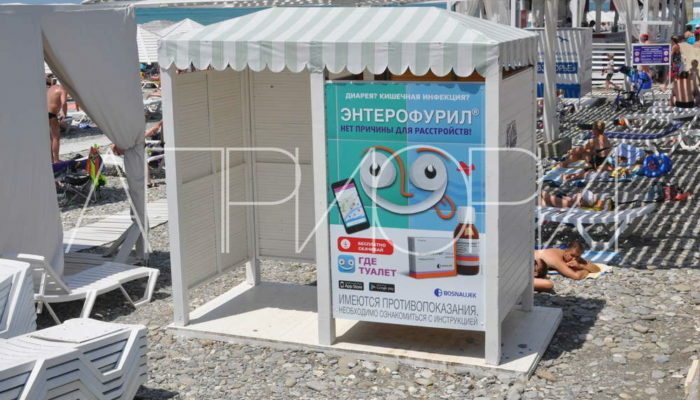 Сhanging rooms have become a perfect advertising media. 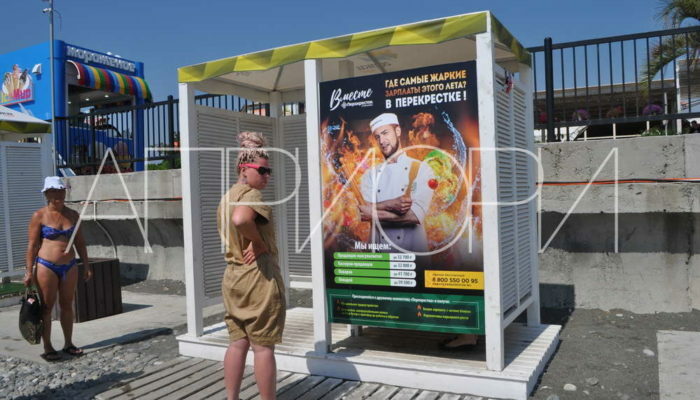 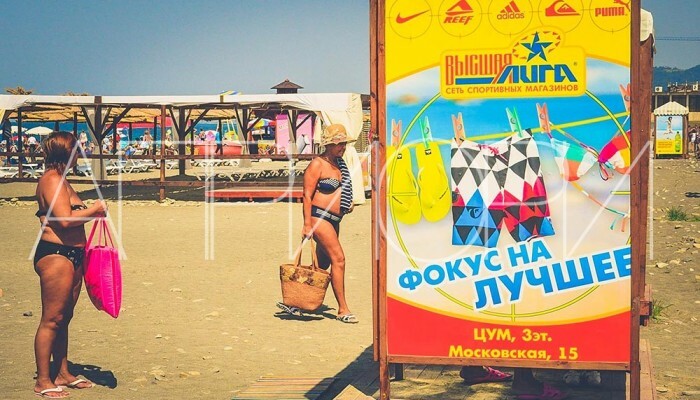 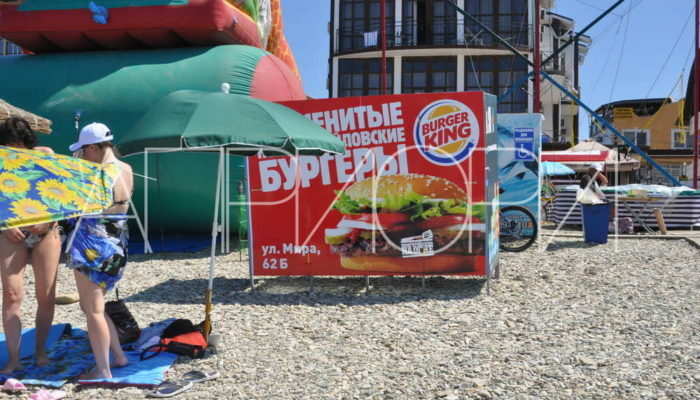 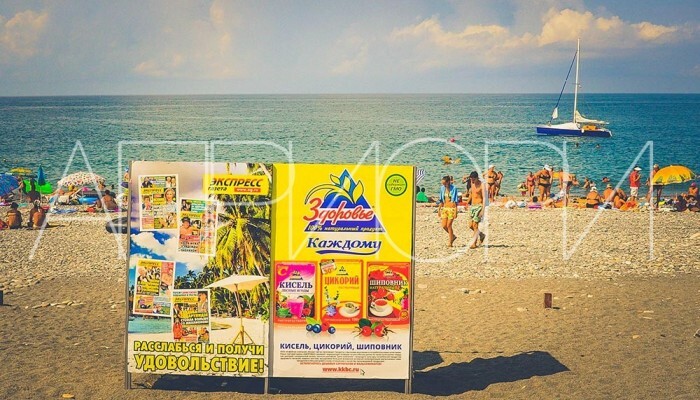 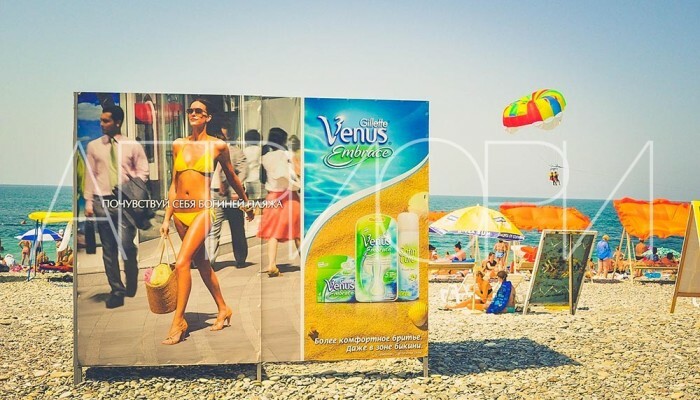 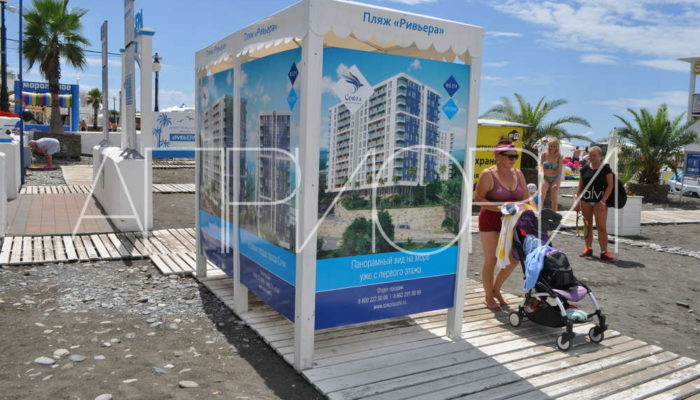 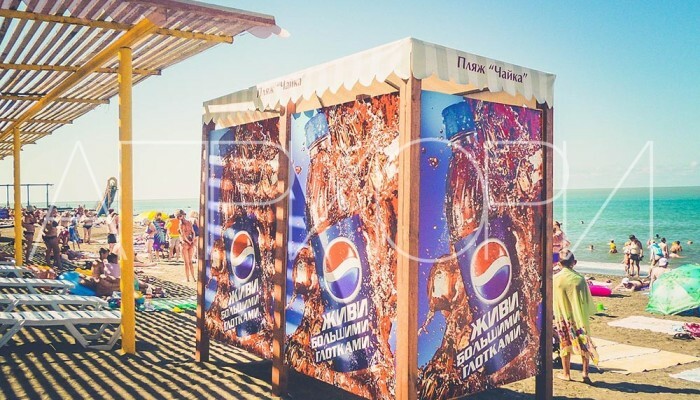 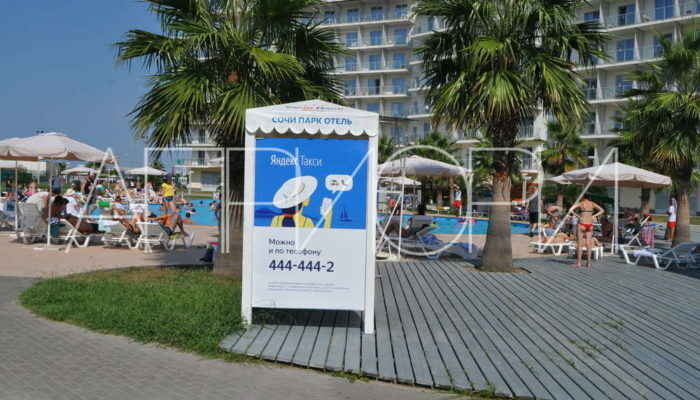 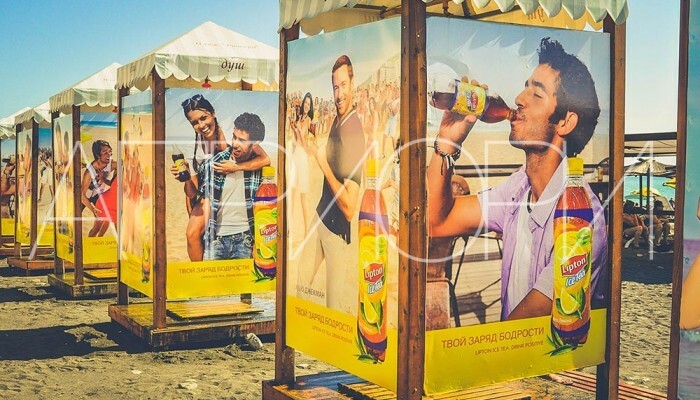 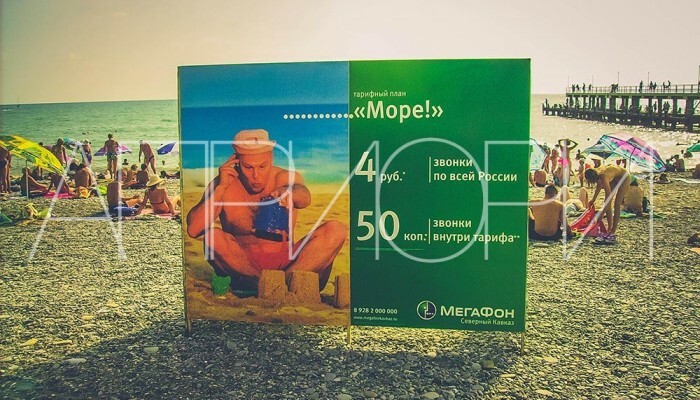 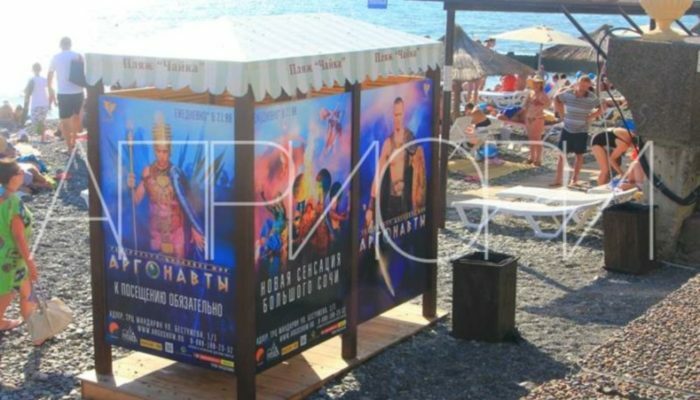 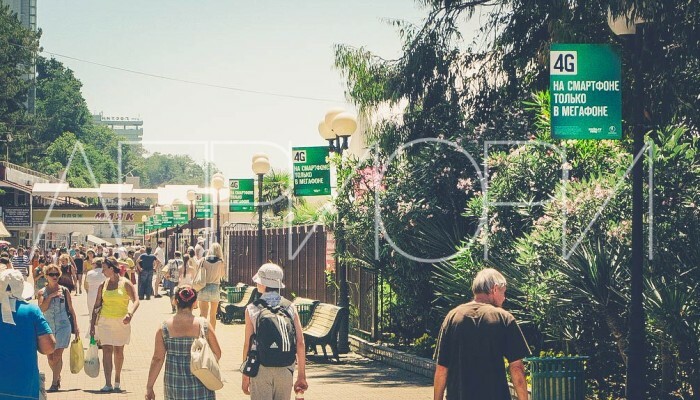 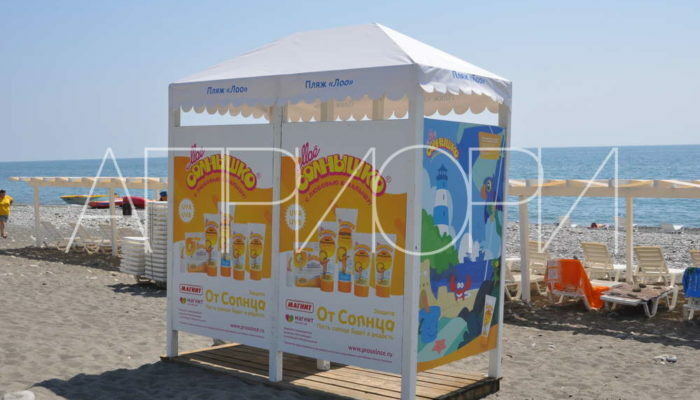 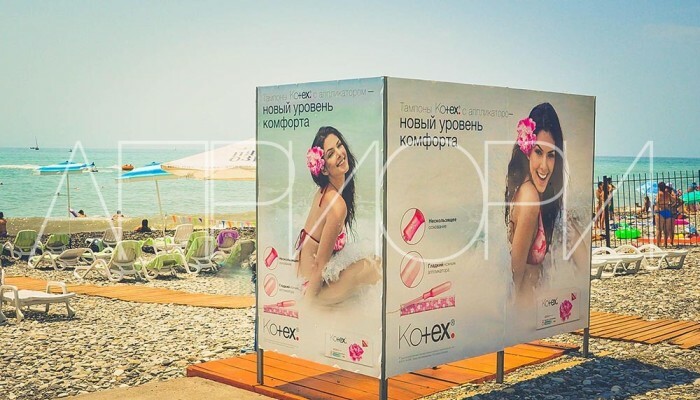 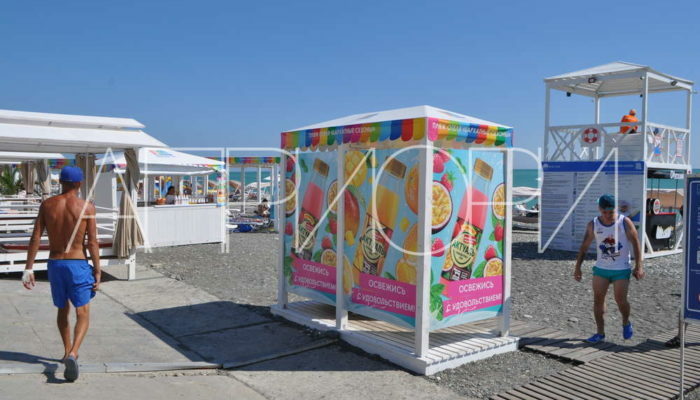 Each season starting in May till the end of September our beach changing rooms display ads at all public beaches of the Black Sea coast of Russia for tourists from different regions of the country. 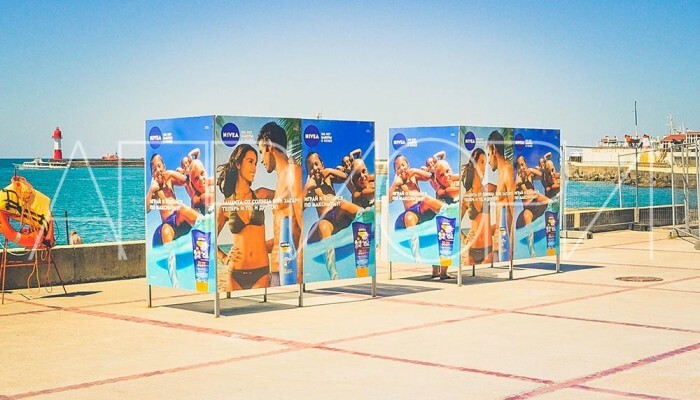 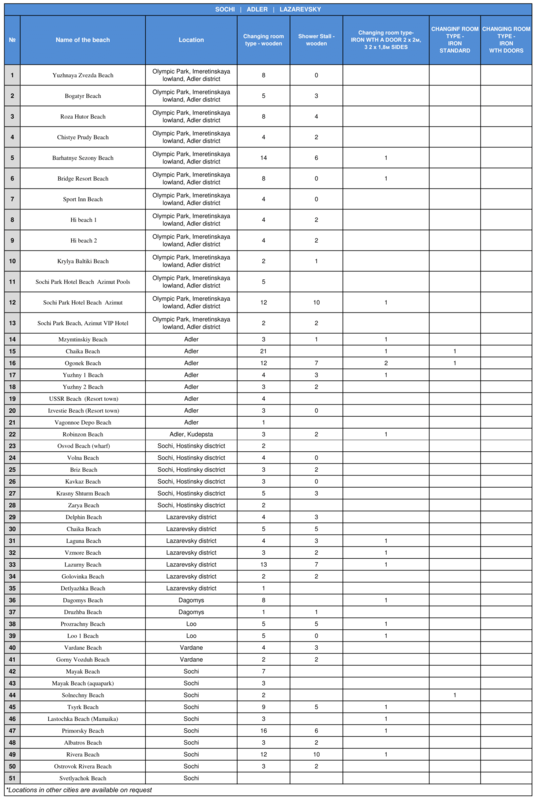 The average duration of visual contact with advertisement at beach is about 3-4 hours, the daily number of tourists is 300-900 thousand people. 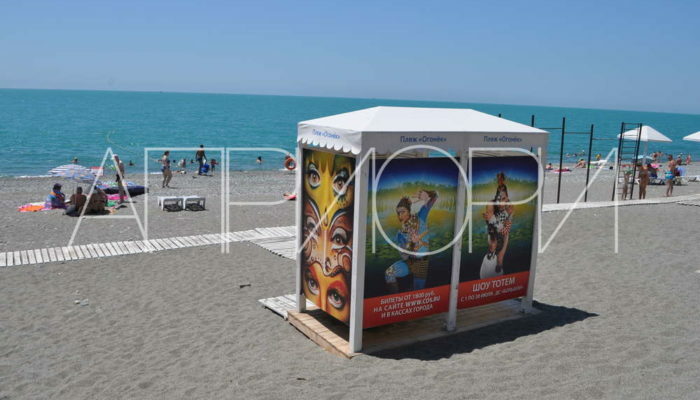 Each changing room can display 5 posters 1,2x1,8m. 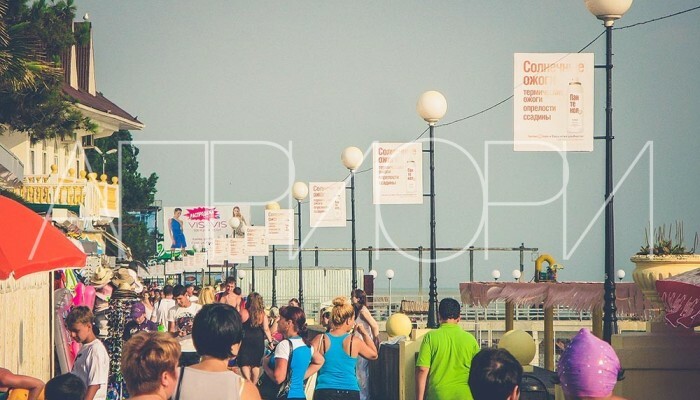 This size is standard and well-known as a city-format. 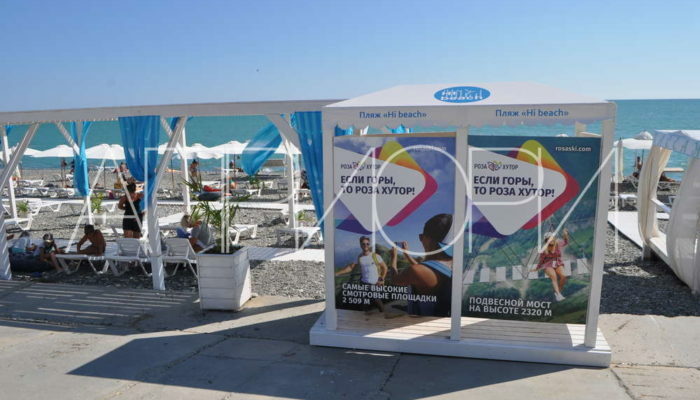 Changing rooms display advertisement of events, drinks, cellular services, pills, press, consumer goods and much more. 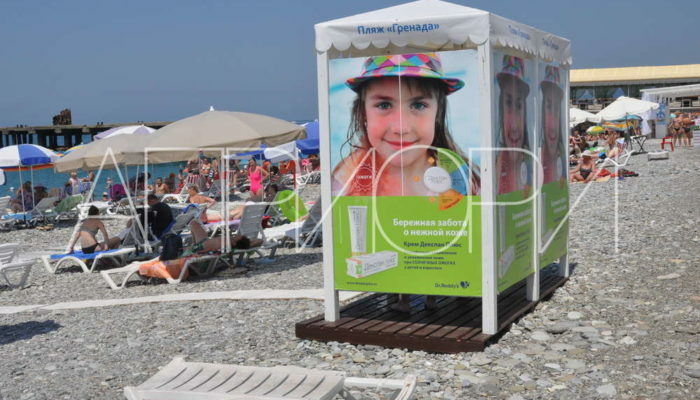 Placement of advertising can be done inside the beach changing room. 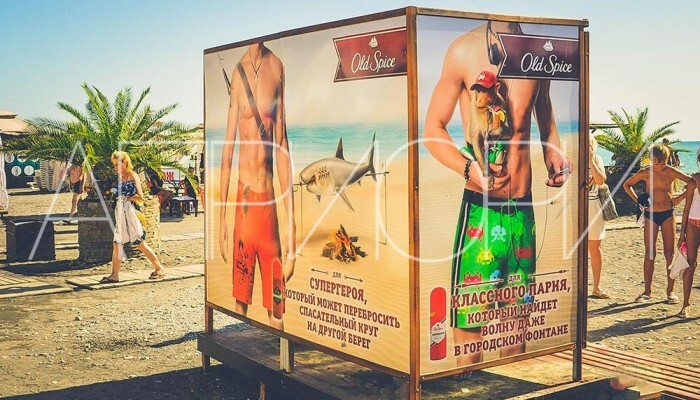 Branding of all sides of the changing room is especially effective. 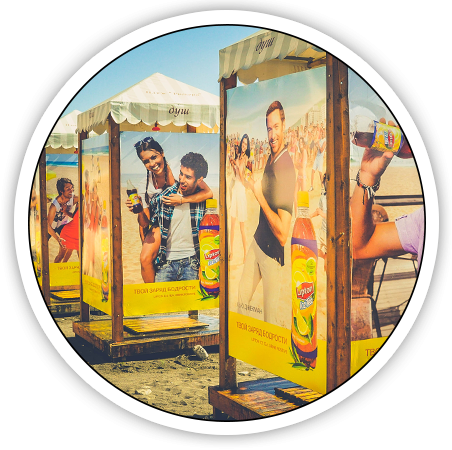 If you need to see the location of the beaches in more detail, move the map to the required area with the mouse and zoom in by clicking on «+» button.